What is a Leg Massager? 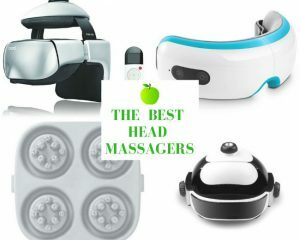 This is a very broad question, however, in simple terms, a leg massager is device, ether electric or manual, which delivers an experience which simulates the ancient art of massage therapy. Leg massagers come in a variety of different sizes, shapes, and forms, are used for different purposes, and range in price from $20 or $30, up into the thousands of dollars. Leg massagers, in many cases include the ability to deliver massages to feet, calves, and thighs, while others target specific parts of the leg. Some leg massagers are designed for athletic injuries and rehabilitation, while other focus on medical ailments like neuropathy or lymphedema. Some leg massagers use pneumatic air compression while others focus on Shiatsu kneading, vibration, and heat. 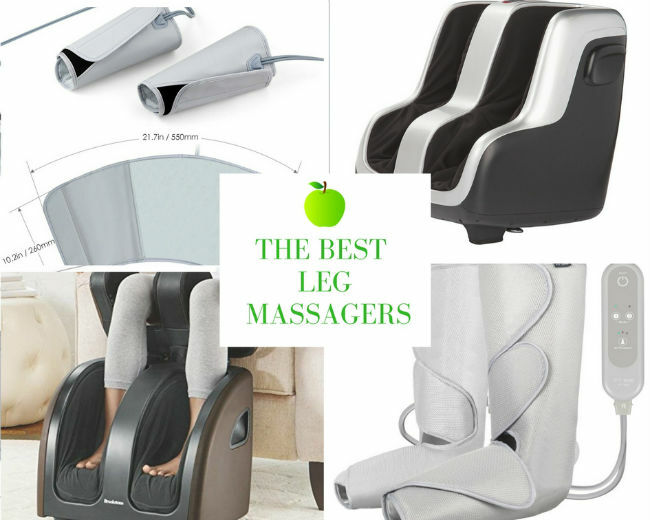 Therefore, you can see that the term leg massager encompasses a wide spectrum, and after comprising our 7 Best Leg Massager list, we realized that we could have easily developed a separate list for each category. 0.1 What is a Leg Massager? 0.2 What Are The Benefits of Leg Massage Therapy? 1.2.1 What am I using it for? 1.2.2 What is my budget? 1.2.3 Do I require a leg massager which will work on my thighs? What Are The Benefits of Leg Massage Therapy? The main benefits of leg massage therapy can be broken down into three categories, listed below. Pain relief and soreness in the legs and feet can arise for a number of reasons. Standing for a long period of time, like an employee in a retail store, or sitting in the same position, like someone in an administrative role, wearing high heeled shoes, or someone who spends a lot of time driving, are prime example of situations which lead to pain, fatigue, and soreness. A leg massage, using a combination of kneading, vibrating, and heat will help soothe the muscles, and increase the blood flow to help them rejuvenate. Some people are born with poor circulation, however, it seems to become more prevalent as we age, generally because we become less active. It is no secret that one of the primary benefits of massage therapy is increased blood flow, and in turn increased circulation, in all places within the body. It is even more important in the legs and feet as the blood tends to pool due gravity. Compression leg massagers in conjunction with heat and vibration seem to be most effective for these types of conditions. Let’s face it. Most people equate the word “massage” with relaxation, and some discredit the physical and psychological benefits of massage therapy. Some even view massage therapy as decadent, and a luxury for the rich. This is not the case. A relaxation massage has psychological benefits for anyone. Be it a high-performance athlete, someone who has succumbed to the pressures of family and work, or the individual feels wear and tear on the body from simple chores such as yard work, a leg massage can have very positive results. The KAPAS Feet & Legs Massage Machine, is a lesser know brand of leg massagers, however, it has received a 5 Star rating on Amazon an some incredible customer reviews. Manufactured in Temple City, California, by KAPAS Products, the KAPAS Feet & Legs Massage Machine is an all-encompassing leg massager featuring Shiatsu Deep Kneading, Air Compression, Vibration and Heat Rolling. From the easy to use controller, you can choose 2 speeds of vibration, heat rolling for the feet, Shiatsu type kneading for the feet and the calves, and 3 unique massage modes. The unit is compact, light weight, and portable, meaning that it is easily transportable to any area of the home or office. With so many different brands and models of leg massagers on the market, covering a wide range of applications and prices, choosing the right leg massager can be a difficult undertaking. Following are some of the more important questions which should be asked when choosing the best leg massager for you. What am I using it for? This is the most important question as it sets the stage as to a starting point. 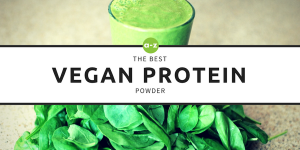 Will it be used to provide relief for a chronic ailment, when I feel fatigued after the gym or performing household chores, or simply as a means of relaxation when I want to take the edge off a difficult day. As you will see in our 7 Best Leg Massagers In 2018 list, the price points can vary from a few hundred dollars to a few thousand dollars. Price is not only an indicator of value, but also an indicator of application. For example, a leg massager designed for the high-performance athlete will be priced much higher than a basic cuff style compression massager. Do I require a leg massager which will work on my thighs? In our findings, the number of leg massagers which can treat the thighs are limited, therefore, if you have specific issues in the thigh area, it is important that you hone your decision making criteria to those devices which accommadate the thighs. For medical conditions such as neuropathy and lymphedema, the compression models seem to be the leg massager of choice. With respect to injury rehabilitation and relaxation, the devices of choice tend to be the Shiatsu, kneading and vibration models. This is our observation and is not carved in stone. You may consider working with your physician or massage therapist to determine which is right for you. Every leg massager is different and include varying ranges of speed, pressure, intensity, and heat controls. In fact, some models do not include a heat function, and may have only one setting. PowMax WW-51 Multifunction Heat Infrared Vibrating Air bubble Electric Foot Massager Foot, SPA Bath Massager Foot Shiatsu for Foot, Ankle, Leg, Calf, Etc. At the top of our list is the TheraSqueeze Pro Foot, Calf and Thigh Massager. 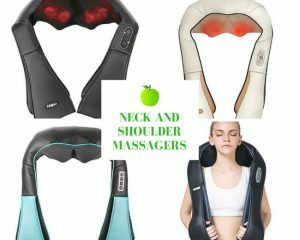 It is manufactured by Brookstone, a name which exudes quality, reliability, and functionality, and one you can certainly count on for an exceptional massage. The TheraSqueeze is one of the few leg massagers we found which extends into the thigh region. As with most of the leg massagers we examined, this unit also includes massage functions for the calves and feet. The device features a deep tissue Shiatsu style massage, squeeze action, and vibration to deliver a superior massage experience. It boasts 3 levels of intensity and has independent controls for the thighs, calves, and feet. It has a 3.5 Star rating on Amazon, however, it is #1 in our books. The Human Touch Reflex-4 Foot and Calf Shiatsu Massager, features what they call, CirQlation technology, which is uses a patented figure 8 motion to circulate blood from the lower extremities, through the calves, and up into the core area, which enhances tissue repair and promotes relaxation. This technology simulates the same motion and effect you receive from a professional massage therapist, and in addition, its control console feature 4 unique massage programs which are accessed by the push of a button. 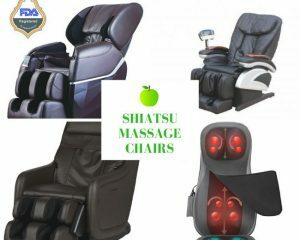 These include Shiatsu 1, Shiatsu 2, Relax, and Refresh. It also includes an adjustable kickstand based which allows for proper angle adjustment and includes roller technology for the feet. The Human Touch Reflex 4 has a 4 Star Rating based on 280 reviews and falls into our higher range category. The Amzdeal Leg Massager Air Compression Leg Wraps, uses a squeeze and release action to stimulate circulation in the lower legs, and speed up recovery time from issues caused by convalescent care, standing or sitting for long periods of time, and exercise. Some of these issues include muscle stiffness, aching and soreness, numbness, lymphedema, and swelling. 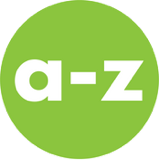 In addition to the lower legs, the Amzdeal can be used on the arms and feet. It is rechargeable and comes with a lithium battery which takes approximately 3 hours to fully charge and holds it charge for 2 hours. The device is ideal for anyone who stands for long periods of time, drives long distances, office workers, or athletes. The Amzdeal Leg Massager has a 4 Star rating based on 494 reviews and is a great choice. The Air Sequential Compression Leg Massager, provides compression relief to the entire leg including the feet, ankles, calves, and thighs. It includes 4 sequential chambers which are comprised of 2 leggings which cover the entire leg, a pump, and a bilateral connector. As with other compression leg massagers, the purpose of the treatment is to relive pain and discomfort caused by medical conditions such as peripheral neuropathy and lymphedema, general soreness from sitting or standing for long periods of time, or exercise. The leggings take 15 seconds to fill with air, and the device then uses a solid pumping action to achieve its results. The Air Sequential Leg Massager has a 4 Star rating and has been given the Amazon’s Choice distinction. The FIT KING Air Compression Leg Massager, may very well be one of the best value for the money, in the compression leg massager category. Fit King is a China based company which has been manufacturing personal massagers since 2003 and has developed a reputation of building top quality products. The FIT KING Air Compression Leg Massager definitely falls into that category as it safely and easily relieves fatigue and pain and improve blood circulation for everyday use, or for medical purposes. The FIT KING is designed for the feet and calves, and with its 2 massage modes and 3 levels of intensity, can deliver a professional like massage which can be customized to your exact needs. It has a 4 Star rating based on 195 reviews and is one of the best all round leg massagers we have found. The Giantex Shiatsu Kneading Rolling Vibration Heating Foot Calf Leg Massager, is a fantastic leg massager which delivers your choice of a Shiatsu, kneading, vibration, rolling, or heating massage to the feet and legs. The Giantex really does simulate the hand action of a professional massage and is great for providing tension relief and swelling reduction in tired and sore feet and calves. In addition, the Giantex Shiatsu Kneading Rolling Vibration Heating Foot Calf Leg Massager, includes 3 levels of intensity and 3 heat levels, allowing you to customize your leg and foot massage to your liking. It has a 4 Star review based on 122 customer reviews and is a great choice for any one looking for a relaxing massage experience. The Recovery System by Rapid Reboot, is a high-end leg massager which is geared to the athlete. It uses air pressure at varying intervals and multiple cycles, often called sequential compression, to enhance the removal of harmful by products of exercise including lactic acid and metabolites. In short, the Rapid Reboot stimulates the natural processes of the body to facilitate healing. In addition to the athletic benefits, the has application for medical purposes such as injury rehab, lymphedema, circulation issues, tension, cramps, restless legs, varicose veins, sciatic nerve pain, and more. The Rapid Reboot Recovery System has a 5 Star rating based on 46 reviews and is tops in its leg massage category.